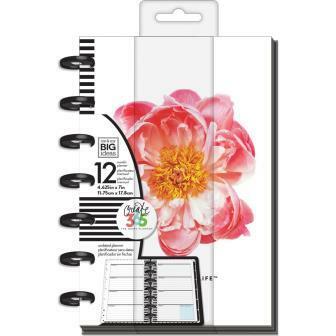 This 12 month mini planner is UNDATED with a horizontal layout and is filled with creative and inspirational artwork to help make YOU a happy planner! The Happy Planner is an expandable, disc-bound planner system that combines your love for creativity with your need for organization. Toss this little baby into your purse, and call it a day! Plan a happy life. The Happy Planner is an expandable, disc-bound planner system that combines your love for creativity with your need for organization. Plan a happy life.